Welcome to Laceeis Corset's online store. Use the category links on the sidebar to start shopping. Does a wedding dress not quite fit? Make the Wedding Gown more beautiful and adjustable with a lace-up corset back! Made from high quality Matte Bridal Satin available in a variety of colors including White, Soft White, Off-White (Diamond White), Candlelight, Ivory, Cream, Champagne, Black, Navy, Pink, Red. 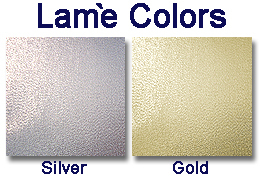 We also have Gold and Silver in either a satin sheen or Lamé metallic. The Laceeis Corset is easy to sew into a wedding dress; even easier than sewing in a zipper! Each Laceeis Corset kit comes in a variety of colors. 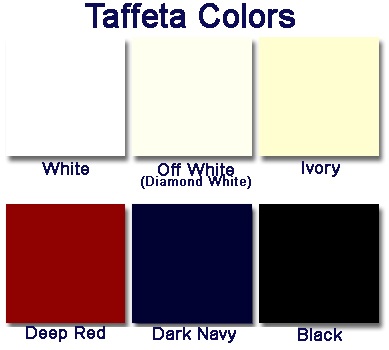 You can choose from Satin, Taffeta or Lame` Fabrics. If you are not sure which color would be best for your project, you can order a Fabric Sample color card. Each color card features actual fabric samples so you can match your fabric perfectly!